I love Doctor Who—I hope that’s clear—but I’d be lying if I didn’t admit that this show, sometimes, gives me a goddamned headache. 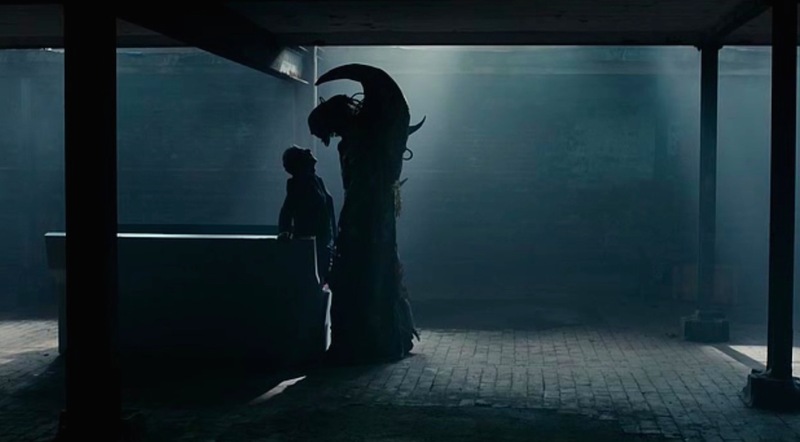 I didn’t dislike “Flood,” exactly: there’s a lot of good stuff here, and overall I still think this two-parter from Toby Whithouse constitutes a strong Doctor Who story. But it was one of those times when my enjoyment of the story felt like a conscious, qualified choice, entirely dependent on my determination to not think about any of it very much. That’s not an entirely unfamiliar feeling for Doctor Who fans, but it’s also not an entirely comforting one. It makes for a compromised sort of enjoyment, one that requires me to constantly tune-out the shrill, nagging voice in my head saying, over and over, This doesn’t really make a lick of sense. Steven Moffat—more than any showrunner in Doctor Who‘s 52-year-history—has been willing to open the can of worms. (That’s an understatement: what Moffat likes to do is dump all the cans of worms into an Olympic-sized swimming pool, dive in, and do a merry backstroke while joyously spitting a fountain of wibbly-wobbly worms into the air.) His very first televised story—the non-canonical 1999 Comic Relief sketch “The Curse of Fatal Death”—loudly telegraphed his penchant for time-travel shenanigans. It featured—among other nonsense—an extended sequence in which the Doctor (Rowan Atkinson) and the Master (Jonathan Pryce) each took turns going further back in time to undermine the other’s carefully laid plans, to ridiculous and hilarious effect. To be clear, I’m have nothing against a little wibbly-wobbly. 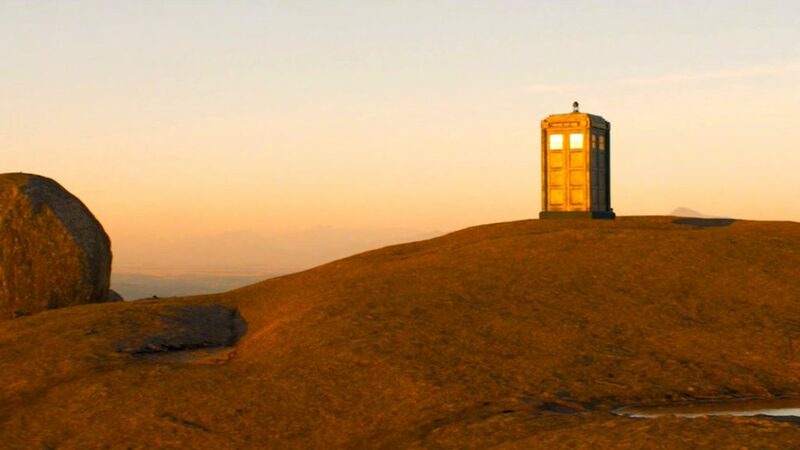 Moffat’s 2007 story “Blink” is still the gold-standard for how to do it well, but I’d argue that many other stories in the modern era—including “The Girl in the Fireplace,” “The Big Bang,” “A Christmas Carol,” and “The Girl Who Waited“—have done interesting and worthy things by incorporating time-travel as a plot device. This is not to say that these stories all made complete sense, of course. (They didn’t, usually: their internal logic often fell apart on closer examination, and the “rules” of traveling through time in one story almost never adhered to those “established” by other stories.) But they made for good storytelling: in each, the time-travel device was used for a real purpose, to enhance larger points and tell a story that wouldn’t have been possible any other way. And I’m just not sure that’s what’s happening in “Before the Flood,” a story in which the time-travel element seems to muddy the larger picture more than it clarifies it. First of all, it’s an impossibly hard story to follow: I’ve watched it three times now, and I still don’t think I could reconstruct what actually happens. I don’t have any desire to sit here and pick apart all the confusing and unanswered elements, which would take all day. But I confess I don’t understand the first thing about the Fisher King. I don’t know why he’s called that. (I know the legend, but its connection here is tenuous at best, and doesn’t explain why he would call himself that.) I don’t know why he ends up on Earth in the first place. I don’t understand what his plan is. I don’t understand the thing with turning “souls” into transmitters, or even if that’s what was supposed to be actually happening. I can’t even tell for sure whether the Fisher King himself was actually alive or dead in this story, since the plot is set in motion by his funeral. There may be explanations for all of this in Toby Whithouse’s mind, but none of them made it to screen in any coherent way. Nor do I understand the logic of the ghosts turning up in the “present” after people are killed in the past. In this story, Moran and Pritchard are killed in the present, and turn up as ghosts immediately. 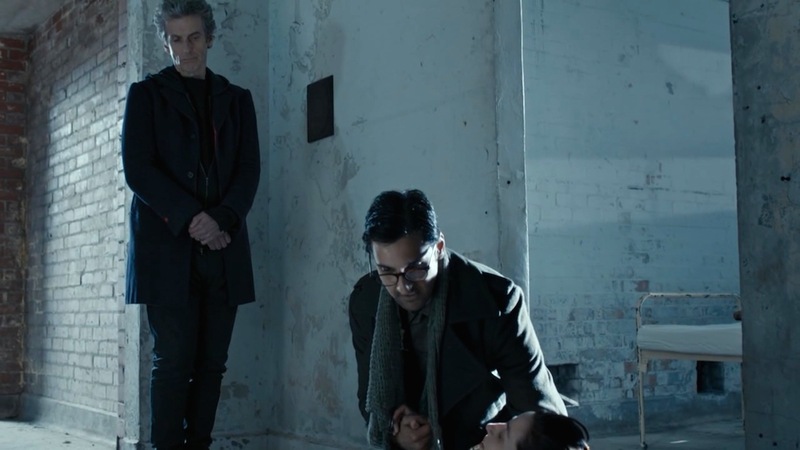 Prentis is killed in the past, and is already a ghost when the Doctor and Clara arrive in the present. O’Donnell, however, is killed in the past—just a few minutes after Prentis is killed—but her ghost doesn’t turn up in the present until much later. This happens long after the Doctor’s “ghost” has appeared, even though—if we’re following the parallel timelines—the Doctor doesn’t do what he needs to do to make this happen until long after O’Donnell has died. Look, I’m not saying I couldn’t find a way to logically justify all of this. (I could, if I were willing to intensify and prolong my headache. And I have no doubt other, more patient fans will.) What I am saying is that it’s bad storytelling: where all the wibbly-wobbly in stories like “Blink” and “A Christmas Carol” makes those stories more fun, the complicated time-travel element here just makes the experience of watching “Before the Flood” more frustrating. Instead of being intriguing and engaging, I found it annoying and off-putting. There is a line towards the end in which the Doctor talks about how he was “reverse-engineering the narrative,” and this feels very meta to me: the plot of this entire episode feels reverse-engineered, like Whithouse was working backwards from a handful of arresting images—like the Ghost Doctor—and going to a lot of convoluted trouble to explain them. So I found the storytelling in “Before the Flood” problematic, especially after praising the internal logic of “Under the Lake” last week. The larger problem for me, however, is that the confusing plot logistics just muddy the waters on what this story is actually about. Like I said: headache. But “Before the Flood” seems to want to have it every which way, and that’s a problem because the Doctor’s actions either have disastrous consequences or they don’t. The Doctor was presumably always going to be part of the Fisher King’s downfall: the missing power cell, the town being underwater, the Doctor being in the suspension chamber, etc., all point to a closed-loop model here on the larger points. But the bit with the ghosts of the Doctor and O’Donnell showing up after all the other ghosts—and only after they have traveled back in time—means that they are changing history: the future (present) is in flux because of what they do in the past. They have choices. But once something happens in the future, the story says, it must happen. (This is a recurring principle from stories like “The Angels Take Manhattan,” though any number of other stories would seem to contradict it.) Thus, the Doctor—once he knows his own ghost has been seen in the future—must find a way to account for it in the past without actually dying. Hence, the device of the Hologram Ghost, which is—in a way that just barely skirts the edge of painful contrivance—fairly clever. But then there’s the problem of O’Donnell. “You change history to save yourself,” Bennett accuses him. “But not to save O’Donnell.” And Bennett is right: the Doctor gets O’Donnell killed, and it was not inevitable. 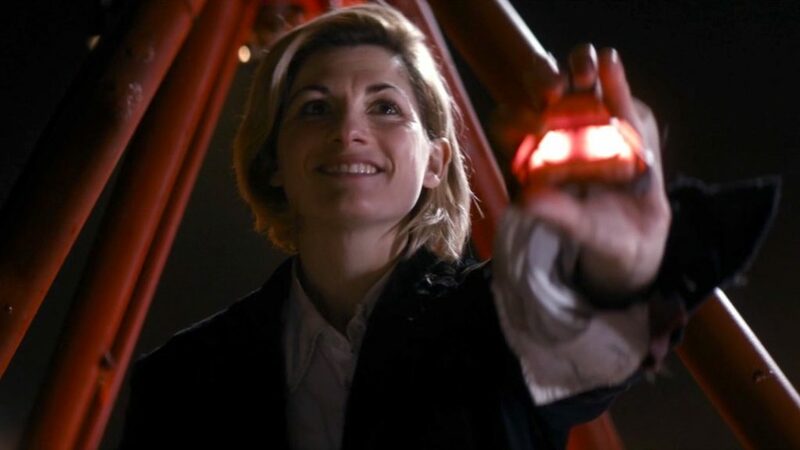 It hadn’t happened “already”—her ghost was not present in the future—and yet the Doctor does virtually nothing to prevent it, even after he is warned who is next to die. (Bennett actually accuses him of letting O’Donnell die, in order to test his theory.) Whithouse tries to make it clear that going with the Doctor is her decision—she is eager to come along on the adventure—but that doesn’t erase the Doctor’s culpability. After all, he went out of his way to talk everyone into staying last week, after they all planned to flee to safety. If he hadn’t talked them into staying, O’Donnell would still be alive. 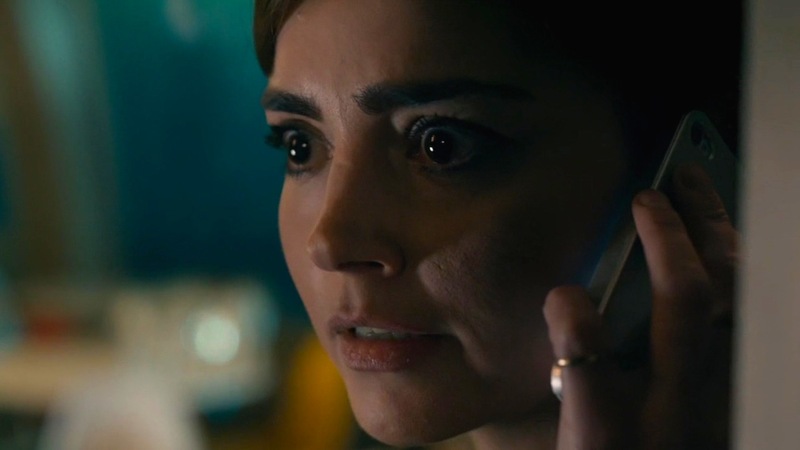 “If this little speech ends up getting additional members of the crew killed next week,” I said, in my last review, “I think we’ll have a pretty good clue about where this season—and the conclusion of Clara’s arc—is headed.” Lo and behold, that’s exactly what happened, and the fact that it happened should be at the center of what this episode is about. Sigh. It’s getting late, and my headache is only getting worse, and I’m still not sure I’ve articulated what frustrated me so about this episode. I think, in retrospect, my frustration stems not so much from any particular issue with the complexities of the time-travel dynamics—though they were confusing and contradictory—but from the fact that I’ve spent most of my time talking about them when I really wanted to be talking about the emotional core of the episode. Time travel can be a fun device: it can even be a productive, expressive one. But it shouldn’t overpower what the story is actually about. “Before the Flood” just struck me as complication in service of complication, to the detriment of the actual characters and themes it was halfheartedly trying to develop. A little less self-serving wibbly-wobbly, and a little more actual substance, and this might have been a great story. My prediction is that Clara will leave to go back to her job at the Coal Hill School, and be part of the announced spin-off: it will be her deciding to take care of other people (children), instead of putting them in danger. (This is the ethical direction Danny was pushing her in last season’s “In the Forest of the Night.”) I have wondered, however, if Moffat would dare to do something the new series has yet to do: actually kill one of the Doctor’s main companions. That would be an unfortunate (and problematic) end for Clara—putting her entire character arc in service of the Doctor’s character arc—but it would be the logical extension of Moffat’s obsession with the Companion Conundrum. It may come down to contract negotiations: if Jenna Coleman turns down the spinoff, I wouldn’t bet a lot of money on Clara’s ultimate survival. 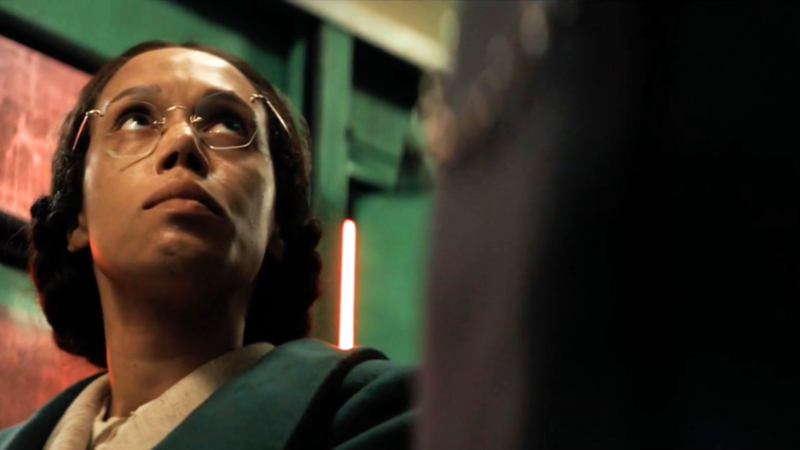 It really was nice to see a deaf character (and actress) in this story, and for everyone to treat her presence in a command position as no big deal. It would have been nicer, however, if her deafness—specifically, her ability to lip-read—hadn’t been demanded by the plot. There were disturbingly sexual undertones to Prentis’s desire to be submissive. “You could enslave me. In the ship I have directions to my planet, and a selection of items you can oppress me with.” Whatever floats your boat, Tivolian. The Fisher King is a full-on Monet: from far away he looks great, but up close he’s just a big old mess.